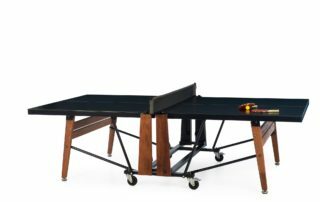 RS Barcelona is pushing the boundaries when it comes to outdoor ping pong tables with design features not seen in years here in the United States. 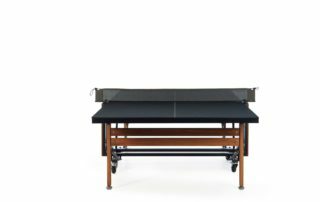 All tables are custom made in Spain and their folding outdoor ping pong table is available in either a black or white playing surface. What makes these tables different? 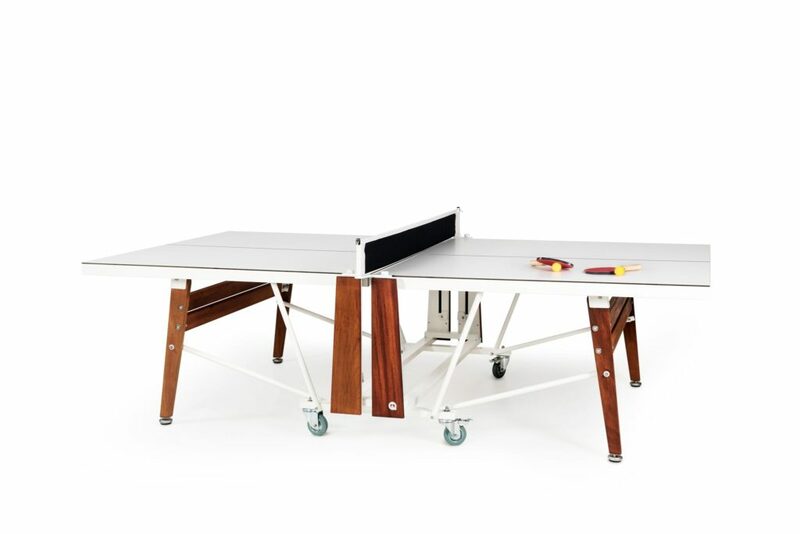 Well, first the design is unique and stylish compared to the average outdoor table tennis table. Modern design with classic colors make for a true conversation piece. We’ve seen these in cities like Los Angeles, Seattle, San Francisco, New York, London. 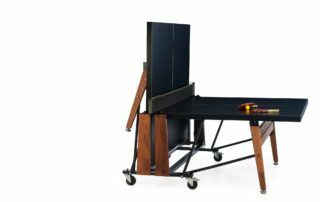 Whether in homes or office meeting rooms, the RS Barcelona offers both functionality and performance. We like the color options as the only other all black top is from Killerspin and it’s a plastic aluminum top compared to the high pressure laminate that RS Barcelona does. 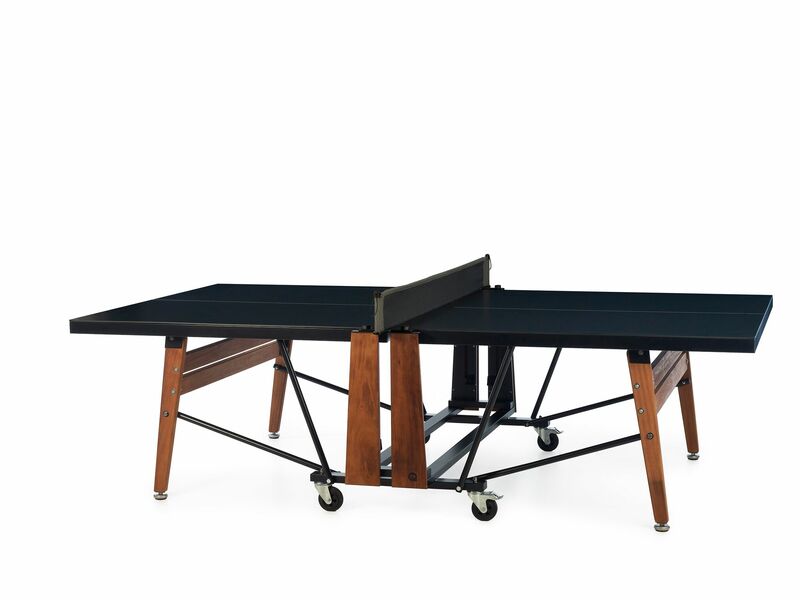 Clean lines, great performance, and a classic outdoor ping pong table that will last for years. 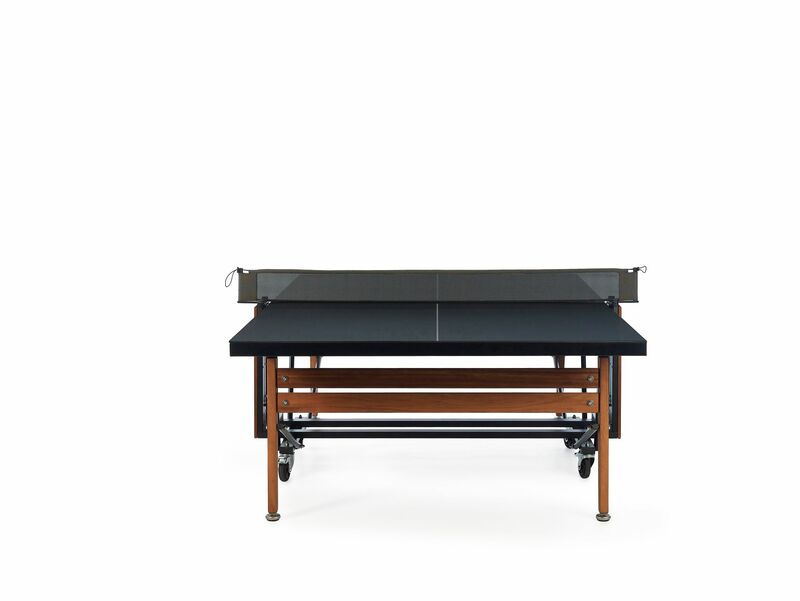 See the RS Barcelona Stationary table here. 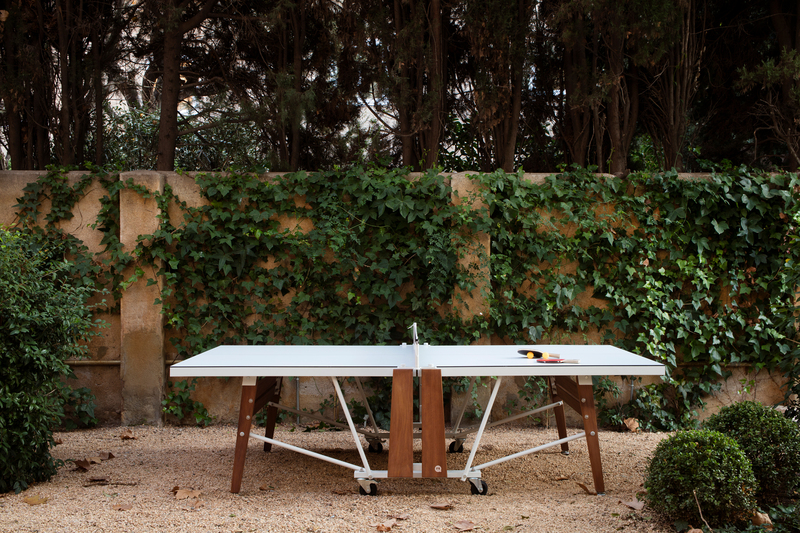 Assembly – The beauty of the RS Barcelona folding outdoor ping pong table is that is arrives already put together. Yes, that means NO assembly required. Just take the table from the box, fold down the legs, attach the net and you are all ready to go. It doesn’t get any easier than that. 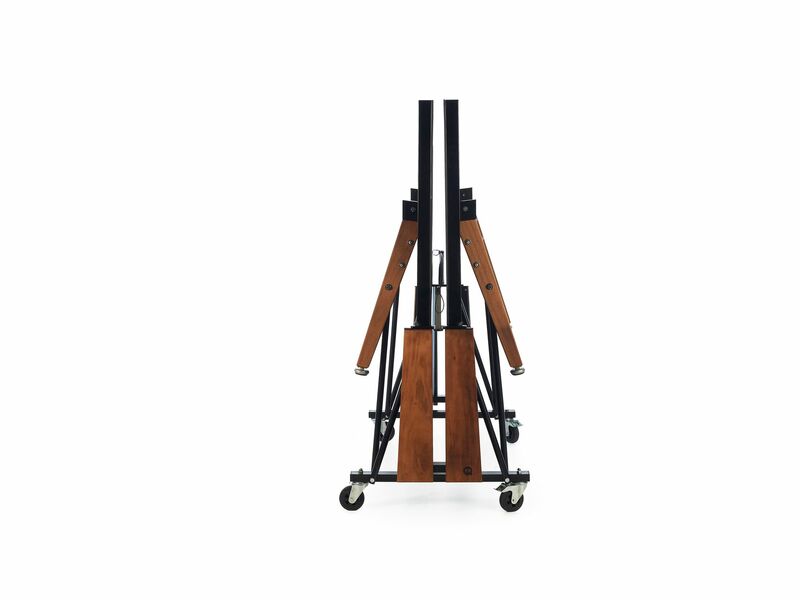 Storage/Moving – If you need to move the table, the wheels allow for simple maneuverability on patios, decks, etc. 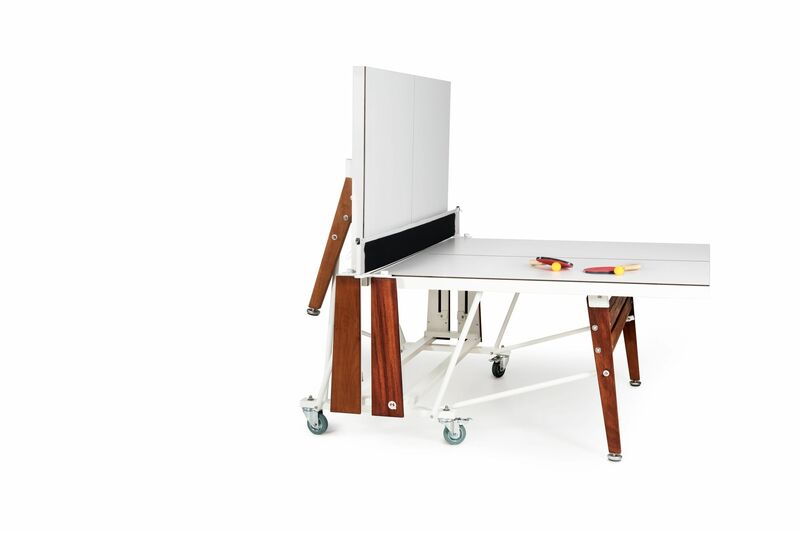 Both sides fold up with an easy to use folding mechanism and the table stores compactly. 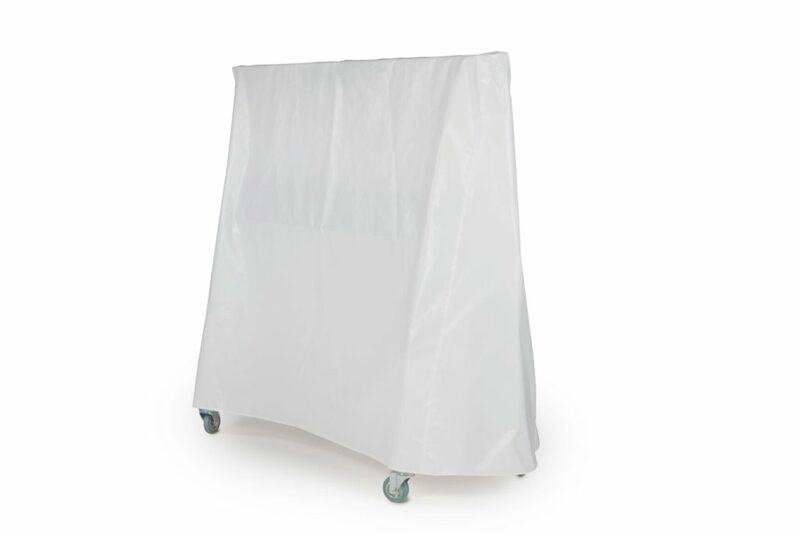 Put the cover on and protect it from the elements when not in use. 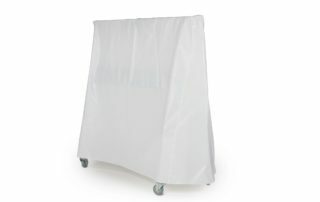 We have many customers that store the table indoors or in a garage during the harsher winter months. 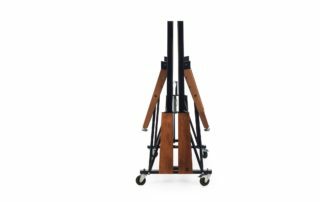 Safety Features – The folding system is safe and easy – takes just a few seconds to open or close each side. 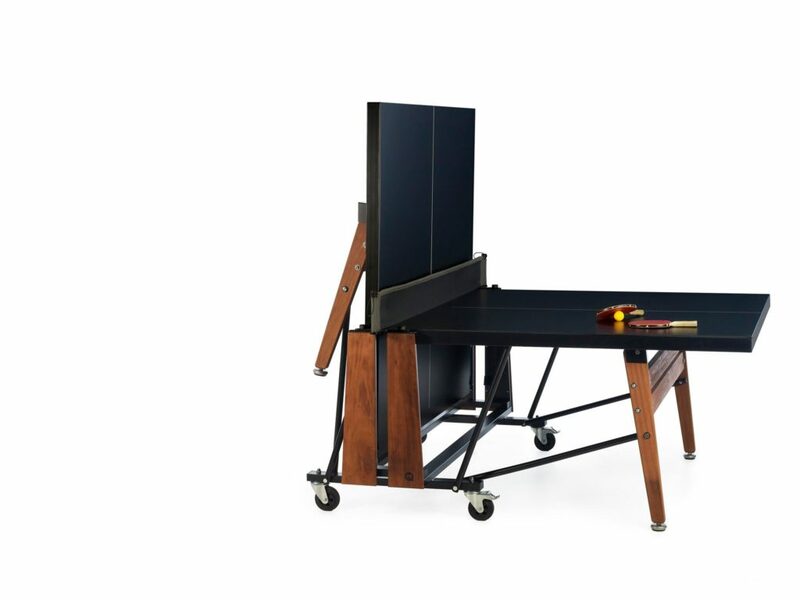 There is a central release handle under each end of the table that lets you open and close the table. No corner padding to speak of on the RS Barcelona folding ping pong table. We wish they had a little something like you see on the Cornilleau 500M. 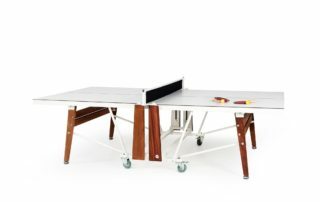 Disadvantages – For us the price is pretty high if you are looking for just a recreational outdoor ping pong table. There are many models out there that are $1000. 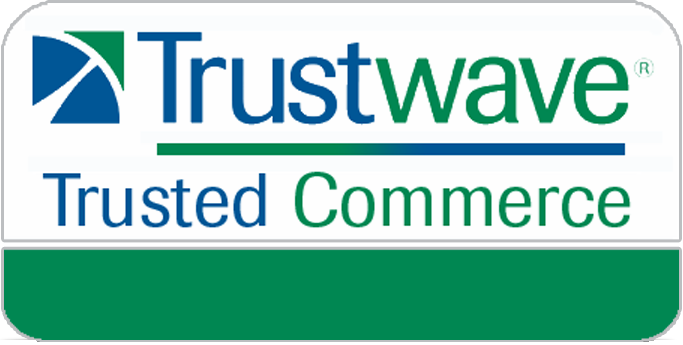 However, we understand the value of something like this and we know home owners and businesses will see that too. I wish the wheels were a bit more heavy duty for transporting it across rocks, grass, uneven pavement. They are really designed for smooth surfaces. Also, the net is not really weatherproof so you will have to protect it if the weather gets bad.